Monarch House Apartments are located in Kensington within a private gated development..
Monarch House Apartments are located in Kensington within a private gated development on High Street Kensington. The building features a 24 hour front desk reception, daily housekeeping service, CCTV security, private car parking and landscaped communal gardens, offering a relaxing atmosphere in the midst of the city. High Street Kensington is a convenient location for business or leisure, with a great choice of shops, supermarkets, restaurants cafes, parks and local amenities nearby. Big brands like Marks and Spencer, T.K. Maxx, Gap, Topshop, Uniqlo, H&M and Boots all have big stores here. The organic luxury grocery shop, Wholefoods also has an outlet here. You've got a wide selection of fine dining favourites to fast food picks including the Ivy Brasserie, Sticky Fingers, Yo! Sushi, Nandos, Bills and Wagamamas. High Street Kensington sits in between two stunning London parks, Holland Park and Kensington Gardens, offering a haven of tranquility to escape to and plenty of recreational facilities for kids and adults. Attractions like Kensington's top museums, Royal Albert Hall, Kensington Palace, Leighton House Museum and The Olympia Exhibition Centre are all within walking distance. This location also benefits from easy-to-access transport links via the underground network and bus all parts of the city. Monarch House Apartments offers very spaciously appointed London serviced apartments, that are individually designed with stylish living areas, high quality furnishings, contemporary decor and fully fitted kitchen ensuring a comfortable and unforgettable stay for all guests visiting the capital. Complimentary internet access and daily maid service (Monday-Friday) are also available for your added convenience. Sleeps three people and has one bedroom with either a King size bed or Twin beds, a fully equipped kitchen, modern bathroom and a living area. An additional rollaway bed is available at an extra charge to accommodate a third person. Sleeps five people and has a master bedroom with a King size bed and en suite bathroom, and a second bedroom with either a King sized bed or twin beds, one bathroom. An additional rollaway bed is available at an extra charge to accommodate a fifth person. Sleeps up to seven people and has three bedrooms with King or Queen sized beds, a family bathroom and two en suite bathrooms. An additional rollaway bed is available at an extra charge to accommodate a seventh person. Approx Area: 130 square metres . Sleeps up to six people, this apartment features a full kitchen and living room. Has three bedrooms configured as King in the Master Bedroom, King in the second bedroom and Twin beds in the third bedroom. This apartment has three bathrooms. Cancellations / Amendments All cancellations must be requested in writing. If notice of cancellation is received less than 14 days, a charge equal to the total amount of the booking will be charged up to a maximum charge of 14 days will apply. Notice given within 14 days will result in a charge equal to 14 nights minus the number of days' notice given. This also applies to in-house guests should a stay require to be shortened. For stays during July and August 2019. 28 day's notice of cancellation or amendment is required prior to check-in for all lengths of stay in order to avoid charges. If notice of cancellation is received less than 28 days prior to arrival, a charge equal to the total amount of the booking will be charged up to a maximum charge of 28 days will apply. Payment Your card will be charged for the full amount 20 days prior to arrival. Monthly billing can be arranged for longer stays. I found your service very prompt and helpful. The apartments were in a great spot, we could walk to everything and had all we needed to enjoy our home. 5 stars for these apartments. I have stayed at Monarch House a few times and will definitely stay there again. The location is very convenient and the flats are very nice. The service is good and the staff do their best to make your stay comfortable. I would definitely recommend it. I have always found Check-in London to be very helpful in finding accommodation for me in London, even at short notice. We enjoyed our stay at Monarch House. The location is great and the facilities are very good. The staff are also very helpful. I would definitely book through Check in again. I found them to be very helpful and responsive. Well maintained apartments at convenient location 7mins to tube. If you arrive in the rain ask for entry via garage - we were caught on the streets with bags and kids. Not exactly convinient. Good and new equipment / plenty of right cutlery. Components to Chrystall - she is good for her word when she advises on quality and features. Went out of way to personally check apartment for standards. Excellent response as well. Certainly will use Check In London again for next trip. Very comfortable and excellent service. We got a really nice flat in this building and enjoyed walking along the kensington street just outside. The facilities were well organised. Really comfortable and homely, Everything was clean and nicely organised for our stay. Good value for money for London standards. close to sights and shops. 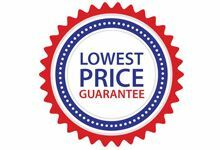 price was also fair for services provided. Good Value For Money.. Very functional and well equipped apartment - newly renovated with furniture and equipment of standard quality but perfectly OK. Very good cleaning service and friendly porters and management. Well heated and with plenty of hot water. Monarch House. A most enjoyable stay, the apartment was extremely comfortable with lots of space. It was equipped well and the service was good although I was a little disappointed that the apartment was not serviced on public holidays. I am not sure that this was reflected in the leasing cost. We would be happy to recommend these apartments to family and friends. Great Family Accommodation. A really nice spacious family apartment. Having a balcony was very nice feature and the kitchen was equipped very well for our needs. Good Service And Location. My family found this location very nice and easy for London. The apartment was very well presented and cleaned regularily. We really enjoyed our stay. Excellent Area. The area outside is so busy and yet we hardly could hear any noise in the apartment. The staff were welcoming and guided us to some good local restaurants. In my opinion the apartment was of a very good standard and I found it to be quite good value for money. This is a highly recommended choice for short stays in London. One Of The Best Stays I Have Had. We found the staff very friendly and helpful. The apartment was very clean and tidy with comfortable beds and nice decor. Excellent location and so convenient for London. One of the best stays I have had in London. I will surely be coming back. Thank you. Five Stars For Comfort. Excellent accommodation close close to shops and walking distance to train stations high street kensington and earls court. Our apartment was very spacious and we enjoyed our private balcony. Apartment From 10Th April. Thank you very much for all your kind assistance for providing us Monarch house apartment. It was nice apartment at good convenient location. There is one thing that I would like to inform you that by mistake I bring the apartment keys with me..this I forgot to handover at the reception while check out. Now I have reached to Thailand already so I am returning these keys and sending today with FEDEX from Thailand to monarch apartments UK. So please kindly inform Monarch apartments regarding this matter. I am so sorry for the inconvenice. Monarch House Apartments. We stayed in Monarch House for 10 days and could not have chosen a better location. High Street Kensington was fantastic. The apartment was spacious, well equiped and comfortable. Also, the staff at Monarch were extremely helpful. Monarch House Apartments . Thank you very much for all your kind assistance for providing us Monarch house apartment. It was nice apartment at good convenient location.